It took me long enough to get this review out. I hauled the IOPE Air Cushion that I got from althea.kr in August 2015 but it was not until 4 months later I finally decided to use it. The reason was because I wanted to finish up using at least one of many liquid foundations I've own. First thing first! I must admit I'm not someone who caught up with trends. I'm also someone who just recently got back in discovering k-beauty (....and it all started again after my trip to Seoul last winter). Buying my first cushion foundation was actually a bit hard. I got lost since there are a lot of brands to choose from. I thought of going for the popular ones, hence it was a between IOPE and Laneige and I ended up choosing the former because it has a lot of online positive reviews. 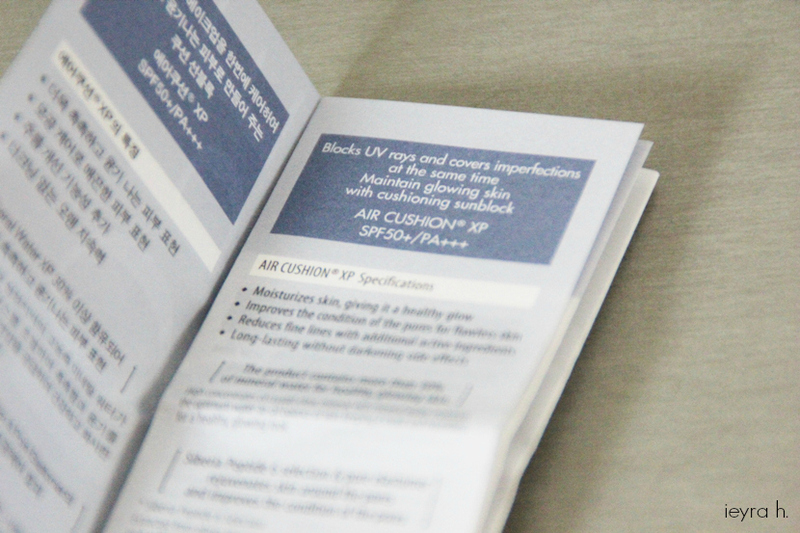 Here's a graphic information taken from althea.kr since I bought the IOPE Air Cushion from them. I can no longer find the original ones on their Korean official site because IOPE literally just relaunched their newly designed Air Cushion XP last two weeks??! -Highly-enriched mineral water (30%), optimizes skin's water-oil balance, moisturizes, nourishes, boosts skin health and radiance. -"Siberia Peptide 6 Selection" and "Pore Elastomers" for improving skin firmness and pore control. (Read more about it here). -3 vitamins (B5, E derivatives and P), help in moisturising and enhancing skin radiance. 4 months. Not in daily basis, but this is a foundation I'd bring with me whenever I go out. Note that my skin is oily combination and I live in a sunny and humid country. I personally really liking the concept of cushion foundation. Although the compact itself seems bulky, it has everything that I'd ever need on the go for a touch up- foundation (better than powdered compact), a sponge and big mirror. I decided to get the one that comes in with an extra refill, so I believe the price is rather affordable. Design- very simple and minimalist. Despite its white exterior, it doesn't attract dust, makeup residue and fingerprints quite easily. The case itself has glitters all over, making it looks expensive and exclusive. The upper case has a dome-like shaped. Separated puff and foundation. There's a sticker seal too to prevent leaking and dryness. Now, let's talk about the dark, blue puff! It's unlike the normal puff or sponge applicator that I've ever tried before. I believe IOPE is using the "Rubycell Ag+ puff", a Japanese pattern technology where the puff is treated with silver ions to give the antibacterial properties. Read more about it [here]! The puff is indeed such a brilliant and innovative but I will say I'm still not the biggest fan of it. Sponge or puff application is somewhat still unsanitary, no matter how 'antibacterial' the puff is as per claimed. I'd recommend to wash the puff regularly or just buy a new one. If you're from Malaysia and don't want to spend a lot, you can buy Lameila Beauty's Ruby Puff at MR DIY for RM5. 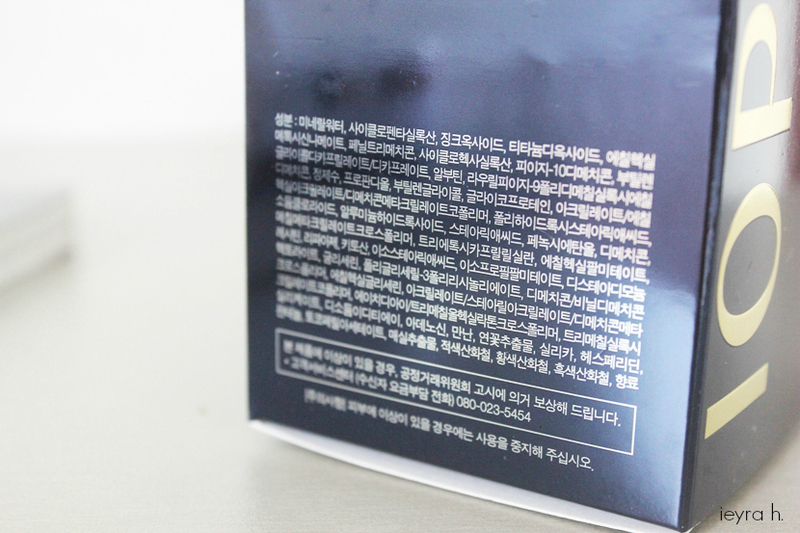 Almost everything on its packaging is in hangul since I received mine directly from South Korea. Noted that the following ingredients are for AIR CUSHION XP IN C23 only!! Each of the IOPE cushions has different ingredients. The only alarming ingredient according to CosDNA would be the chemical sun filter, Ethylhexyl Methoxycinnamate since it's able to cause burning and stinging sensation to some people. I don't have any problem with it. 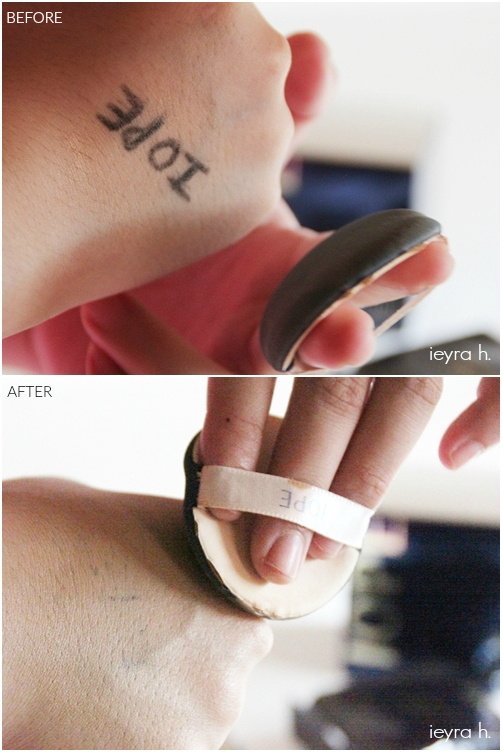 IOPE suggested to apply it either as a makeup base or foundation. You can also reapply it throughout the day as a sunscreen. -[before makeup] Dap the puff completely onto the product and pat onto skin from the centre and work outward. -[after makeup] Dap the puff onto the product and pat lightly onto skin. As a foundation. Only sunscreen and sometimes, moisturiser underneath. No primer. I don't know how to describe it but it's not a pleasant scent. Powdery-ish? They do put in fragrance inside their foundation but it's way down the bottom of the ingredient list. 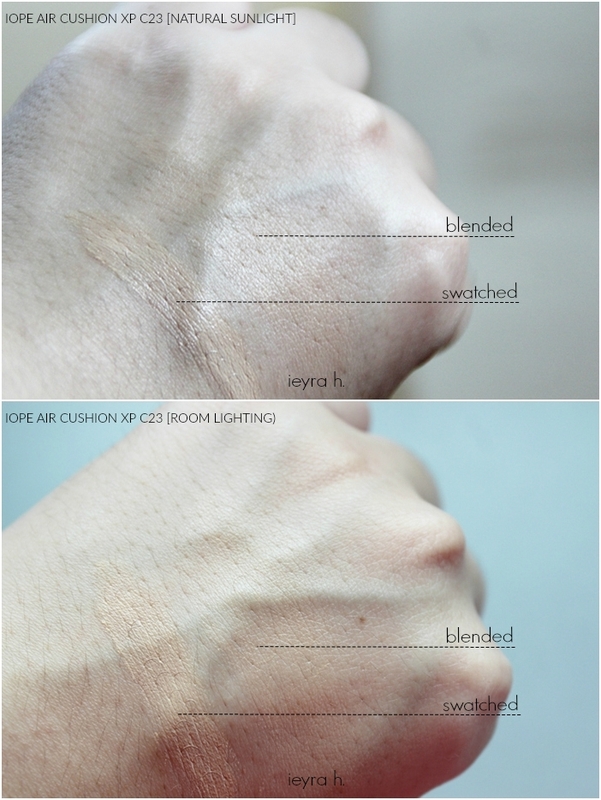 Something important to note is that the shade range of IOPE Air Cushion is very limited. This is because Koreans do prefer their skin to be lighter and brighter. 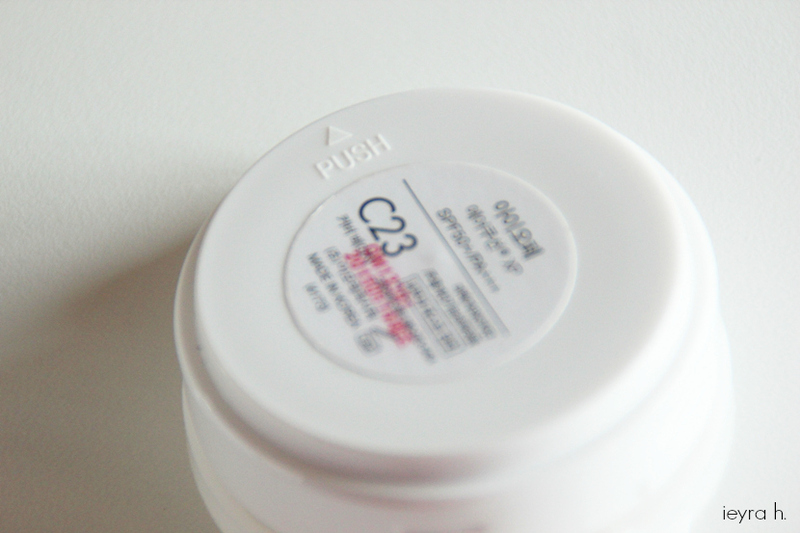 It only has 3 shades the C line, (C means 'Cover')- C15, C21 and C23. I picked up mine in the shade C23 and I'd say it's equivalent to NC20-25 in MAC. The 'C' line is supposed to have more coverage than the 'N' (Neutral) and 'S' (Shimmer) line. IOPE also comes out with the Air Cushion XP Intense Cover but it's not available at althea.kr. As you can see from the picture below, the foundation is slightly darker than my hand complexion, but worry not, I tanned a lot on my face lmao. My skin tone is uneven, but for most of the part, I have redness. Redness + tan, I'm literally NC30. LOL. Damn I need some whitening and brightening skincare. I wouldn't say the shade matches me perfectly on the centre part of my face because it's definitely lighter. So, this is when oxidation of the foundation helps. ;P ;P ;P.
-Thin and lightweight unlike traditional liquid foundation, however, it tends to be cakey if you don't blend it well with the puff. My pieces of advice are to start with a thin layer and gradually build it up if you need more coverage. -Set immediately. 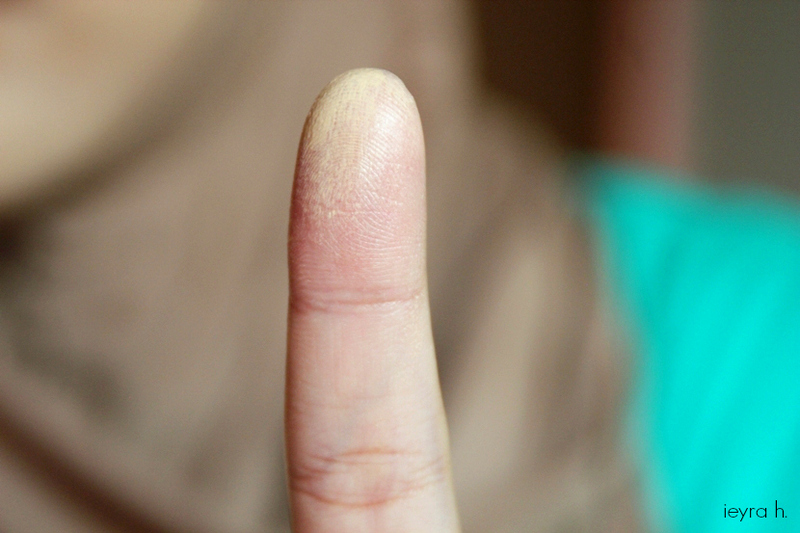 It doesn't really leave me finger marks when I touch my face. Medium coverage and it looks natural. At least to me it is natural looking. With the foundation, I was able to cover up most of my redness. Concealer is still needed to cover blemishes. -Semi-matte, almost dewy but it's not overwhelming dewy compared to other Korean BB cream/cushion I've tried before (Eg: Peripera Peris Water Cushion). 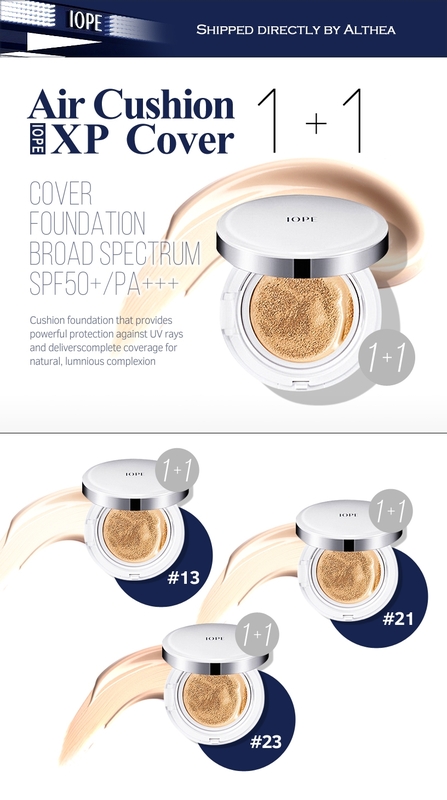 -I have a problem with claim number 4 though, the foundation definitely turns darker after a while and a lot of Korean beauty gurus on youtube also pointed out the same thing. However, it isn't as orange as how Bourjois Healthy Mix Foundation oxidised. Mine lasted long enough without any primer and powder. I don't feel the need of blotting or touch up even after 4 hours. I'm still having a love-hate relationship with IOPE Air Cushion XP. It's definitely giving me the natural, semi-matte, 'no makeup' look but I have 4 problems with the foundation. 1) Foundation moustache. Here comes my real struggle. None of my liquid or cushion foundations is giving me this problem and I still don't know how to fix it. 2) It becomes itchy after sometimes. Whilst everything else seems good and promising, I believe it's not the right formula for my skin. I can wear this for like 4-5 hours before my skin starts to itch. 3) Creases under my eyes area, even if I set it with powder. 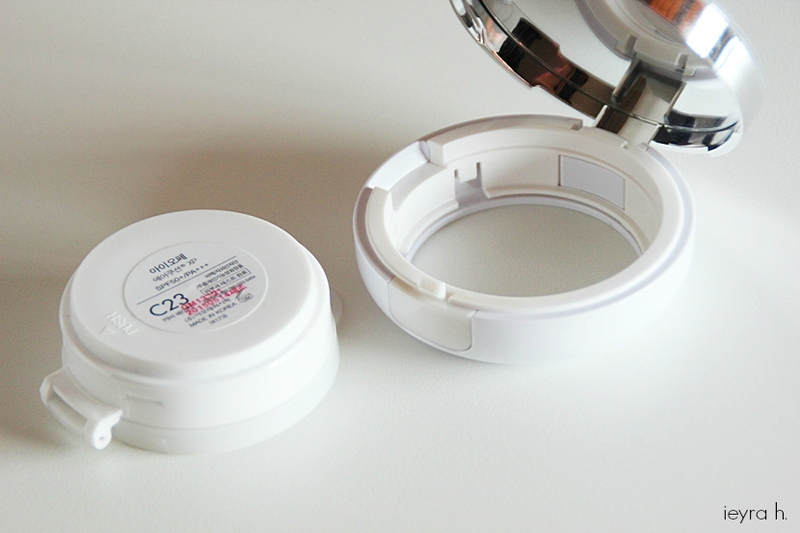 So I'm not sure if I'd recommend this IOPE Air Cushion XP in the C line to people with dry skin. Maybe the N line is more moisturising. 4) The foundation makes my pores look huge, Morgan from TheBeautyBreakdown on Youtube also pointed out the same issue. Puff-wise. I like it better than the Peripera and Lameila Rubycell Puff. It's so soft and bouncy! I don't know why people are saying it doesn't absorb a lot of product because it definitely is. I squeezed mine onto a wet tissue and there are a lot of foundation coming off. Buy this if you want a foundation that sets immediately, long-lasting and giving the natural finish makeup look especially to those who have a strong yellow undertone. Skip this if.... well, you're looking for an affordable & easily accessible cushion. The price is a lot to digest, though. I believe IOPE Air Cushion XP is still extremely popular in South Korea, I just watched Beauty Bible Episode 4 yesterday and they ranked this cushion as number one. Content : 30g (15g X 2) / 1.05 OZ. Limited Edition : No, but they revamped the packaging since I think the fake IOPE is getting out of control these days. Thank you so much for reading my review (rants). What's your favourite cushion foundation? It looks really nice!! I always want to try korean BB Cushion but its to light for me!! 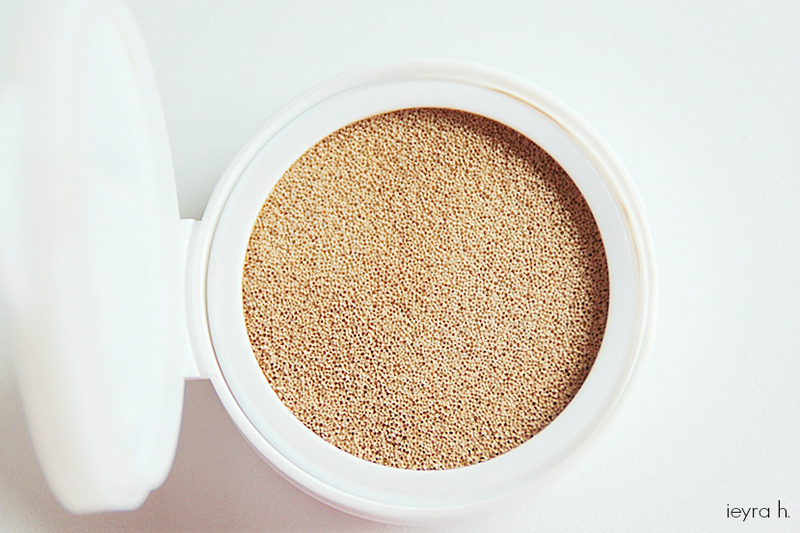 IOPE is one of the most raved compact cushion. It's really great! I've heard a lot about the IOPE cushion, it looks really nice! As expected the mother of cushion foundations, haha. I'm quite surprised to see how koreans still prefer IOPE than Hera. Same! It's not available in my country too. IOPE is under AmorePacific, and since I see Laneige & Sulwhasoo selling here, I hope they will bring in other brands like IOPE, Mamonde and Hera to our SE markets. I like Mamonde's toner! hehe. a look ahead for your next submit, I will try to get the grasp of it! Short but very accurate information... Thanks for sharing this one. I dugg some of you post as I thought they were very beneficial very useful.